The one who opens wide his lips comes to ruin. Now if we put the bits into the horses’ mouths so that they will obey us, we direct their entire body as well. 4 Look at the ships also, though they are so great and are driven by strong winds, are still directed by a very small rudder wherever the inclination of the pilot desires. 5 So also the tongue is a small part of the body, and yet it boasts of great things.See how great a forest is set aflame by such a small fire! 6 And the tongue is a fire, the very world of iniquity; the tongue is set among our members as that which defiles the entire body, and sets on fire the course of our life, and is set on fire by hell. 7 For every species of beasts and birds, of reptiles and creatures of the sea, is tamed and has been tamed by the human race. 8 But no one can tame the tongue; it is a restless evil and full of deadly poison. 9 With it we bless our Lord and Father, and with it we curse men, who have been made in the likeness of God; 10 from the same mouth come bothblessing and cursing. My brethren, these things ought not to be this way. I was a freshman in college when an older friend took me for a walk and confronted me about the deathly sharpness of my tongue, how I could cut another student to pieces and leave them in shreds on the campus floor. Since then, there has been grace. The Holy Spirit dug out mounds of trash and began growing kindness, gentleness, and self-control in me. but the tongue of the wise brings healing (Proverbs 12:18 ESV). But it was pride, foolish pride. Now, the Lord is breaking that self-righteousness right down. It stings and aches, and I’d just like Him to finish the construction project already so I can stop feeling so bruised and laid bare. 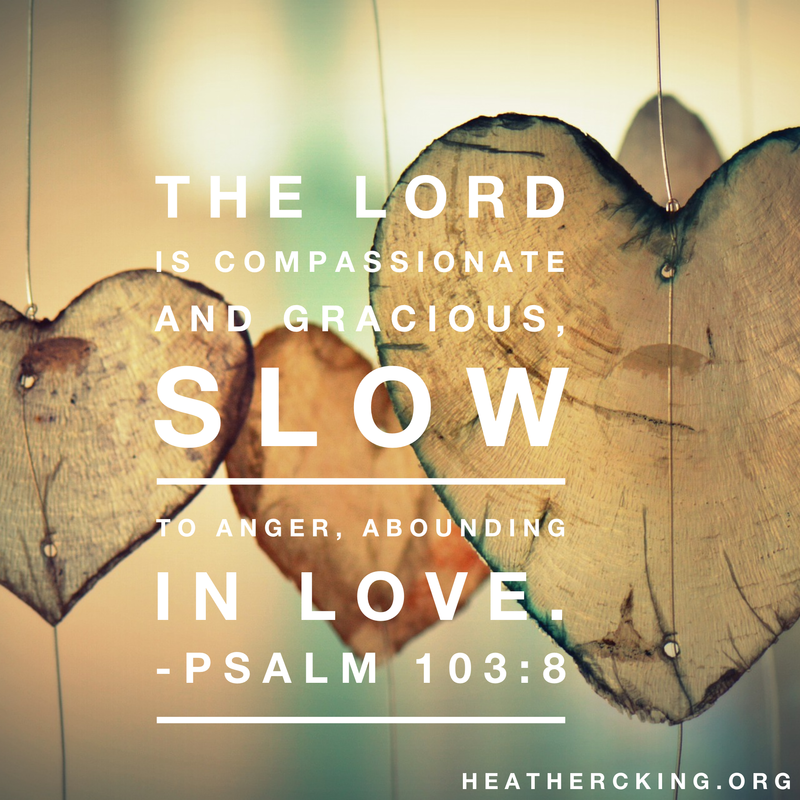 I’ve been losing my ‘cool,’ snapping back when I felt challenged, flashing to defend myself. One time felt like a fluke, just a bad day. But then it happened again. And again. I’d spend days, weeks even after each incident rehearsing the scenes in my mind, wincing at my words, embarrassed and ashamed. I resolved to try harder next time. Be calm. Stay in control. Take deep breaths. Don’t talk when provoked. Be quick to listen, slow to speak, slow to get angry. Not that I’m cursing or yelling, of course. It’s just that temporary loss of control, speaking now and thinking later (with regret). That’s not me. I’m sweet and kind. I’m patient and slow to speak. 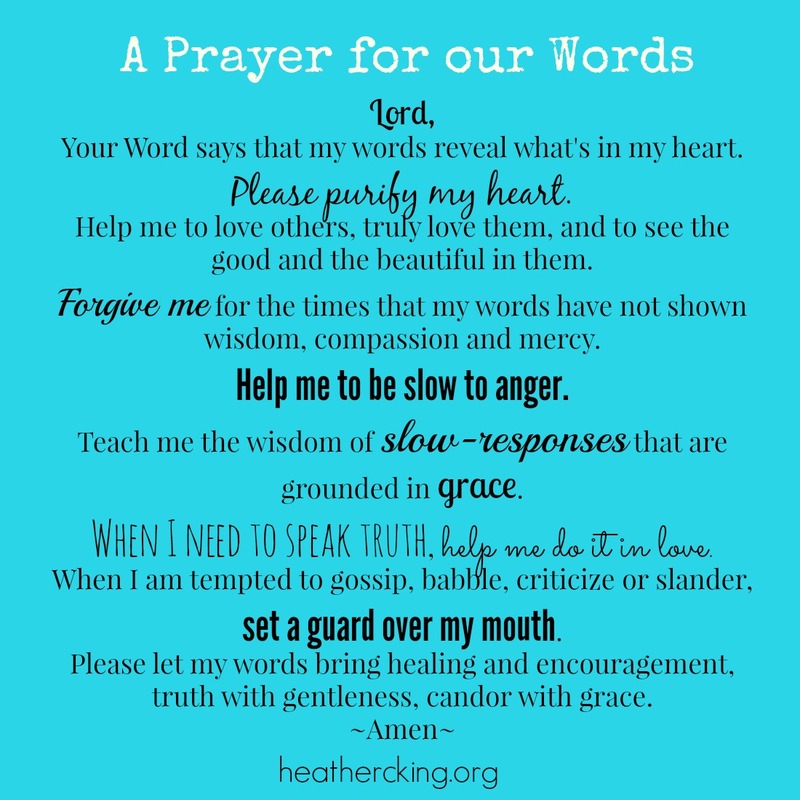 But the truth is even when I kept control of my tongue, the trash was in my heart–the criticism or judgments, the flashes of self-protective wit and anger. Now God seems to be letting the trash of my heart come pouring out my mouth so I can’t hide it, not even from myself. I keep entering the boxing ring and beating at myself with the same commentary. I can’t believe I said that. That’s not me. That’s not who I am. Why am I so easily provoked? I review my day as a mom and realize I blew it here and I messed up there. 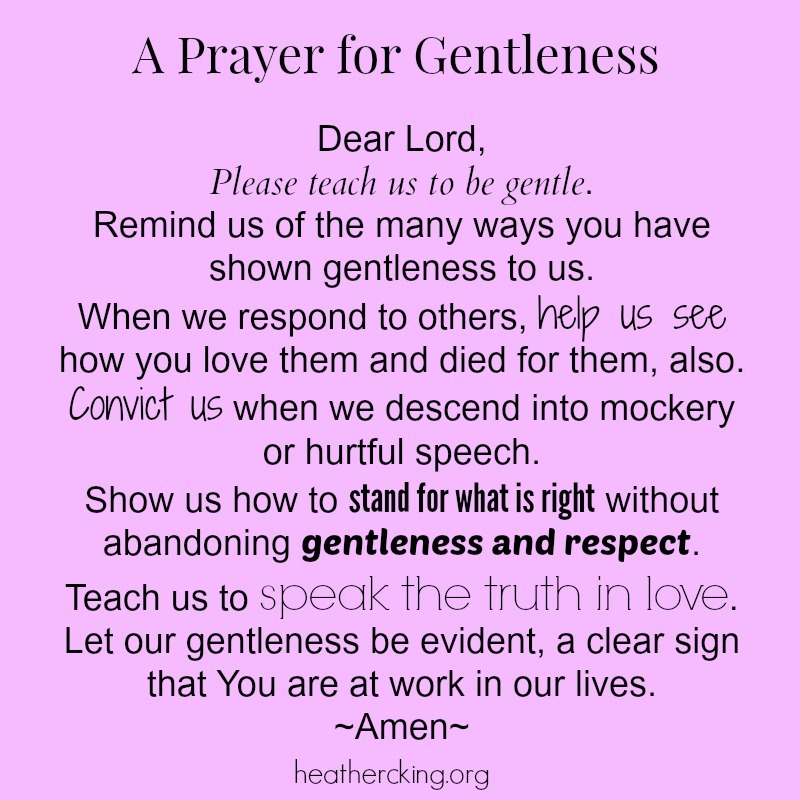 I hear how my tone of voices loses gentleness even with my own kids. I’ve spent months carrying around a load of shame and embarrassment because I just can’t seem to shake my reactivity. Shock and shame are my most natural and immediate responses when I make a bad choice or have a bad reaction….If I feel shocked and ashamed when I snap…, maybe I’m assuming I can handle life on my own and I don’t really need redemption, not really. And so when my soul has a bad idea, I can’t believe it. Shock and shame. That’s been me. Why am I so shocked by my own sinfulness? Every. Single. Time. It’s because I’ve been leaning so heavily on my own self-righteousness that I’ve failed to collapse in the arms of grace. It’s because I’ve been assuming I could be perfect and am angry when I’m not. I have messages I tell my kids over and over, hoping they’ll ring true in the deepest parts of them. No one is perfect. We all mess up. We sin. That’s why we need a Savior. If we could be perfect on our own, we wouldn’t need Jesus. Accept the grace. Be loved. Stop being shocked and embarrassed because I need a Savior. Be humbled and live in awe of the One who Saves. I don’t receive mercy because I’m perfect; I receive it because I’m imperfect and relying on Christ. so far has he removed our transgressions from us (Psalm 103:8-12 NIV).